Women are constrained in their economic activities and face significant challenges as they try to accumulate assets and pursue better paid and more productive jobs. Deeply rooted and restrictive social norms and women’s dual roles as caregivers and breadwinners limit their choices and access to opportunities. For five years, GrOW has generated knowledge to determine the best ways to overcome these obstacles. It has provided evidence to inform social and economic policies that improve poor women’s lives while promoting economic growth. GrOW has helped to enhance the research capacity of young and Southern-based researchers and the program promoted the use of research by decision-makers — and these efforts will continue. Synthesized evidence under emerging themes to fill critical knowledge gaps. The CA$18 million program launched in 2013 in partnership with The William and Flora Hewlett Foundation and the UK’s Department for International Development. Learn more about GrOW findings in our policy briefs and working papers. Visit the GrOW Research Series. Read project outputs and GrOW newsletters in IDRC’s Digital Library. Can South Asia address barriers to women’s paid work? Around the world, gender disparities in education are decreasing and fertility rates are declining. Can more inclusive trade promote gender equality? Trade is an important part of a country’s development processes and a crucial aspect of the global integration that marked the second half of the 20th century. But it has also been associated with growing inequalities — including gender — and has recently been considered the culprit of many social ills, as manifested in Brexit and the U.S. presidential election. 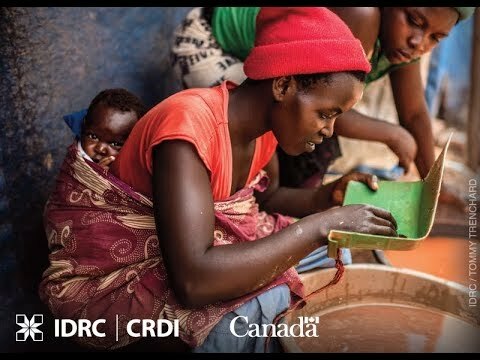 This video provides an overview of the GrOW program and describes the major challenges to women’s economic empowerment in Africa and ways forward. This video highlights constraints and opportunities for women working in artisanal and small scale mining in Uganda.